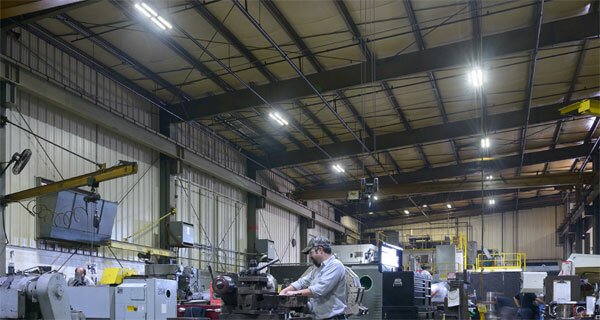 Implementing an energy-efficient lighting system can make your facility much brighter overall, and in particular, it can brighten those dark ‘canyons’ between rack rows. It also saves you money on utility costs. In a large distribution center, the daily cost savings is significant, even before you factor in enhanced productivity due to an overall better working environment. But it gets better: Under the 2005 EPACT law, you can deduct the entire cost of a new lighting system, up to 60 cents a square foot if the system reduces lighting power density below he maximum allowable lighting power densities listed in ASHRAE/IES Standard 90.1-2001, and if a few other requirements are met. This typically results in a much lower cost of ownership and a very quick return on investment. Oh, and combined with other energy saving upgrades to your facility, that 60 cents could climb to $1.80 a square foot. EPACT (the Energy Policy Act of 2005) is a wide-ranging law that can help you reduce power consumption in your facility and defer the cost through tax deductions. Facility owners can qualify for an EPACT 2005 tax credit in similar cases where LPD (Lighting Power Density) is reduced more than .6 watts per square foot. To get to the larger $1.80 per square foot, a facility must utilize systems defined as interior lighting systems, HVAC/hot water systems and building envelope features, which are otherwise depreciable as a cost; installed in the United States; part of new construction or renovation within the scope of the ASHRAE/IES Standard 90.1-2001; and certified to reduce total annual energy and power costs to at least 50% less than a building satisfying ASHRAE/IES Standard 90.1-2001. For practical purposes, this means that you can “double down” on energy-conserving upgrades in your operation. If you can install, say, a warehouse lighting system and HVAC upgrades, you can deduct a significant amount of the cost in the same year even before you start to realize the savings from lowered utility bills. Combine that with other ways to reduce power costs such as strip doors, high speed dock doors, or roll up doors, HVLS ceiling mounted fans and other related equipment, and you can slash costs for a much lower initial investment. For more information on ways to make your operation more energy-efficient and less costly to operate, contact us.